If you’re in need of earth moving tools, Daphne Rental Center is the company for you. 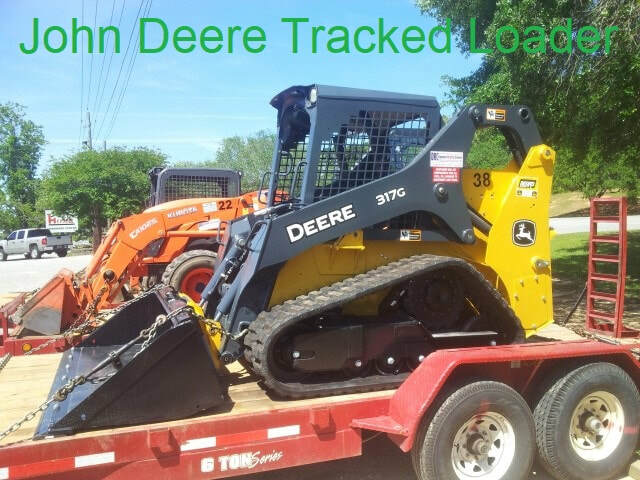 We at Daphne Rental Center carry a large selection of earth moving equipment for you to choose from. Whether you need a mini excavator or a backhoe, we’re sure to be able to help you out. Some of the earth moving equipment rental items that we carry are jack hammer rental, tractor rental, skid loader rental, and front end loader rental. Whatever your earth moving equipment rental needs, we’re sure to be able to meet them. Having one place to go for all of your earth moving equipment rental needs is important. We at Daphne Rental Center offer such a place. We carry a wide variety of earth moving equipment that is sure to meet any and all of your earth moving equipment rental needs. We carry heavy earth moving machinery as well as small earth moving equipment. Some of the earth moving equipment rental items that we offer are toro dingo rental, caterpillar earth moving equipment rental, bobcat rental, and tractor rental. Those are just a few of the earth moving equipment rental items that we carry. We’re sure to have the right earth moving equipment rental items for you. At Daphne Rental Center, we take pride in being able to offer our valued customers a wide selection of earth moving equipment items for rental purposes. We always are well stocked, and we’re sure to have the right earth moving tools for your project at all times. We carry bulldozers, mini dirt movers, excavation equipment, and road graders, to name a few of the earth moving items that we offer. Whatever your earth moving tool needs are, we’re sure to be able to meet them. Being able to choose a company that offers you a peace of mind is paramount. At Daphne Rental Center, we believe in offering great service at all times to our valued customers so that you can always rest easy during the rental process. We want to make the rental process as easy and smooth as possible for you at all times. Renting out earth moving equipment shouldn’t be a difficult task. We at Daphne Rental Center make always sure that this is the case by offering excellent and consistent customer service at all times. Being attentive to our valued customer’s needs is something that we value highly at Daphne Rental Center. We believe strongly in always putting the needs of our customers first. We go out of our way to make sure that you always find the earth moving equipment that you need to get your project done the way you want it done. We always attend to your needs to make the earth moving equipment rental process is as pleasant and easy as possible. At Daphne Rental Center, we’re always certain to attend to any and all of your earth moving equipment rental needs.